Another great services must shutting down, it is Icyboards (icyboards.net). Icyboards is a well known as the best myBB free forum hosting over past few years. As a free service offering the creation of our own online forum, Icyboards open its own way to standout amongst its competitors by provide its users features that other free forum hosting will only give on paid plans. 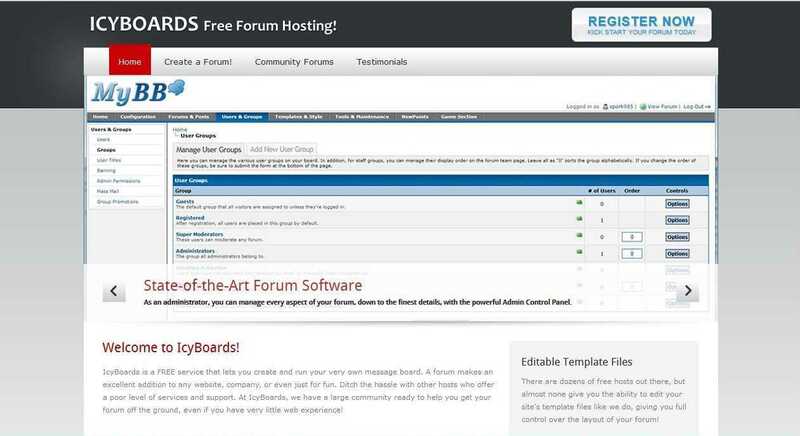 Domain parking, numerous plugins, and the most outstanding of Icyboards.net is they gave the users a freedom to customize their forum template even for free users. I was known Icyboards around one or two years ago as a part of my holy journey (LOL :v) to find my identity as an internet publisher. Really, Icyboards service is the best with the features and options they gave even for free users. The Icyboards community and support is also something. The Icyboards community forum feels like a nice home where the members and the staff communicate to you in a friendly way. It is such a great regret that Icyboards.net administrator comes to a conclusion that they must close their service after 8 years stood provided people a place to launch their own online forum easily with absolutely zero cost and zero web programming knowledge needed. Courtesy from their official announcement thread, Icyboards.net will be completely shutting down on July 31st, 2018. Started from May 26, 2018, a database backup option has been available on our Icyboards forum admin (uid=1) panel to backup our forum data so we can move our forum to myBB self hosting or another forum hosting service before Icyboards completely shutting down its service. Comments (0) in "Breaking News (May 2018) - Icyboards Announced Their Service Discontinued"